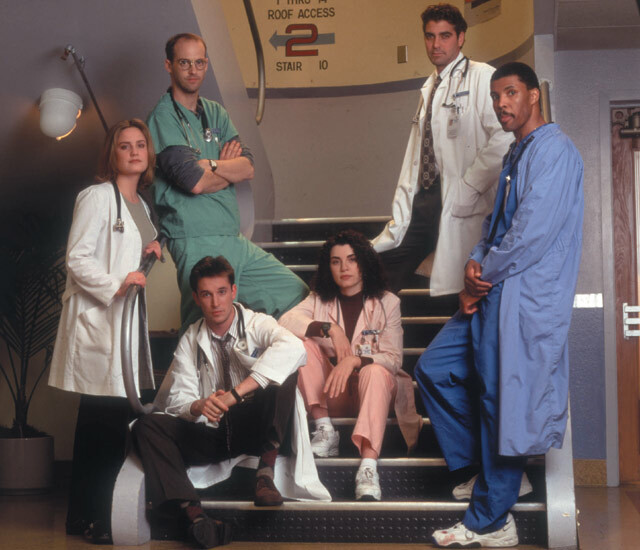 Television Nostalgia – E.R (still the best medical drama)! I’ve recently been going through a period of television nostalgia, looking back and rewatching episodes of some of my favourite shows. The latest old favourite I have reacquainted myself with is the long-running medical drama E.R. Beginning in 1994 (the same year as Friends and rival hospital drama Chicago Hope) and created by Michael “Jurassic Park” Crichton, E.R went on to become the longest-running primetime medical drama in American television history, lasting 15 years until April 2009. Many hospital dramas have arrived since. 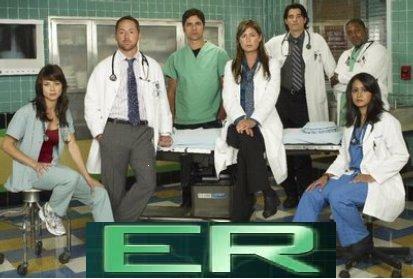 For me however, E.R will always be the best and is still brilliant quality drama years later. Set in Chicago at County General Hospital, the show depicted incredibly realistic medical traumas, whilst introducing the viewers to the team of doctors and nurses who practically spent their entire lives at work, treating all manner of cases that burst through the double doors. 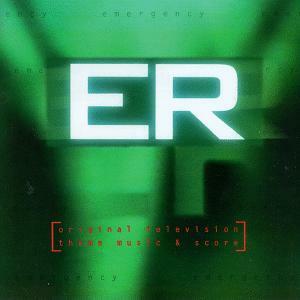 For me, the brilliance of E.R is just how superbly made it is. The writing was some of the best on television at the time and the pace of each episode was relentless. It was exciting to watch from the first episode. On top of that, and the reason it remains my favourite medical drama, are the genuinely interesting and varied characters, who as viewers we watched grow in their careers as they rose through the levels of seniority year on year, gaining experience and confidence. The original cast will always be the best ensemble in its history for me and I don’t think the show would have lasted as long as it did had it not had such strong actors in those initial roles. Anthony Edwards (perhaps best known as Goose from Top Gun back then!) was the leader of the gang as Chief Resident Dr. Mark Greene – loyal, dedicated and kind. He became the axis and it wasn’t the same after he’d gone. George Clooney became a household name as Dr. Doug Ross – the flawed paediatrician whose lack of respect for the rules saw him in hot water many times. However his clear love for his patients made us always root for him. Sharry Stringfield was the hard-working Dr. Susan Lewis, whose chemistry with Dr. Greene was one of the ongoing subplots of the early years and it was lovely she returned years later. However my favourites were always Nurse Carol Hathaway and Dr. John Carter. Carol was never meant to survive the pilot episode but became a fan favourite and her simmering on-off love affair with Dr. Ross made them one of TV’s greatest couples. Julianna Margulies (now hugely successful in The Good Wife) was always superb in the role and over time became a huge part of the emergency room family. And how could you not love John Carter, played wonderfully by Noah Wyle?! We saw him grown from a naive, nervous medical student in to a confident leader of the E.R team, despite a number of difficult times along the way. He was the longest-serving major cast member for 11 years and it was a huge loss when he left. Thank goodness he returned during the final season to remind us how much we’d missed him! Many other memorable characters came and went (the unique Dr. Kerry Weaver, Dr. Peter Benton, who was a big softie underneath that cool exterior, Alex Kingston’s fun and feisty Dr. Elizabeth Corday, Abbey Lockhart, who went from nurse to doctor and of course Dr. Robert “Rocket” (or helicopter..) Romano! It was a strength of the show that as established characters left, others had been introduced so that we always had someone familiar to keep us watching while we came to know new recruits to the E.R. If you’ve read any of my other posts you’ll know by now that I love a good list and so here are my top 10 episodes. Most come from the first six years, which remain the best years in my opinion. After that the new guard of cast arrived and soon the remaining links to the early years disappeared and, although still fantastic TV, I never thought it was quite the same. This powerful two parter is perhaps the storyline that had the most impact on me throughout the show. The final moments of Be Still My Heart were truly devastating to watch as Carter is brutally attacked. If this wasn’t awful enough, we realise that Lucy has already been attacked by the same patient. The following episode demonstrated how superb E.R was at combing quality dramatic scenes with powerful emotion as the E.R family fought to save their own. Surely everyone cried at this one?! A Carol Hathway-centric episode which saw her in the middle of a hostage situation in a convenience store. The episode also saw an early notable guest star in the form of Ewan MccGregor as one of the criminals, who forms a bond with Carol. Tense, superbly acted and a nice break away from the norm. Farewell Carol Hathaway. I was more sad to see Julianna Margulies leave than George Clooney the year before, but her farewell was perfect. An emotional storyline of a dying mother reminding Carol of what was truly important – love and family, culminating in a fantastic reunion with her soulmate Doug Ross as my favourite song played (Taking You Home by Don Henley). The season finale saw Dr. Carter’s drug addiction following his near fatal attack earlier in the season finally come to a head. 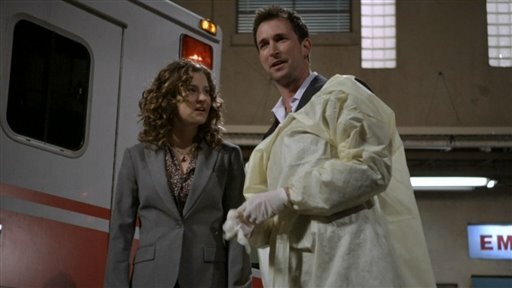 Noah Wyle conveyed the all the turmoil Carter went through during this story arc, spiralling out of control and the intervention scene was an important moment for his character. However it’s the moments between Benton and Carter at the end, as Benton makes Carter realise he needs help that put this episode on my favourites list. 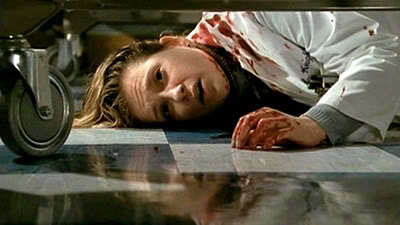 Years on, the first episode of E.R remains an example of a brilliant way to start a series – we met the key characters, were thrown in to the manic pace of the E.R (the pace and tracking shots were immediately impressive) and had some shocks to leave us wanting more, particularly Carol’s suicide attempt. Thank goodness she came back! By the end of this 90 minute episode it was clear E.R was going to be appointment television. From the beginning to the end! There are very few series that I think are given a satisfying ending and thankfully after 15 years, E.R’s final episode ensured it was given a proper send off. We saw old faces return and understood that County General would continue – never more perfectly highlighted than seeing Dr. Carter working side by side with the new Dr. Greene, as Mark’s now fully grown daughter started her time at the emergency room. A truly heartbreaking episode for Mark Greene, in which a pregnant woman’s labour goes terribly wrong. It’s a simply conceived story and its raw emotional heart didn’t fail to move you. The fact it was Greene, who up until then had been the calm, steady leader made it all the more shocking and I never for a moment expected the tragic ending, which added to the show’s realism. The episode also featured Bradley Whitford (who went on to be in another John Well’s show The West Wing) as the father having to cope with unimaginable tragedy. One of the first episodes to be widely talked about, raising the profile of the show and George Clooney, it saw Doug Ross battling to save a young boy from drowning in a storm drain and generated an incredible 48 million viewers in America (the highest of the show’s entire run). The moment he bursts from the water in formal wear, holding the boy in his are was not only an iconic moment for the show but also the moment he became a superstar. Mark Greene’s departure had to be mentioned here as it was one of the saddest story lines of the 15 years and in the end I chose this episode rather than the following one, which showed us his final days ad funeral (as it’s just too sad for me and it always annoys me that Ross and Hathaway aren’t there). 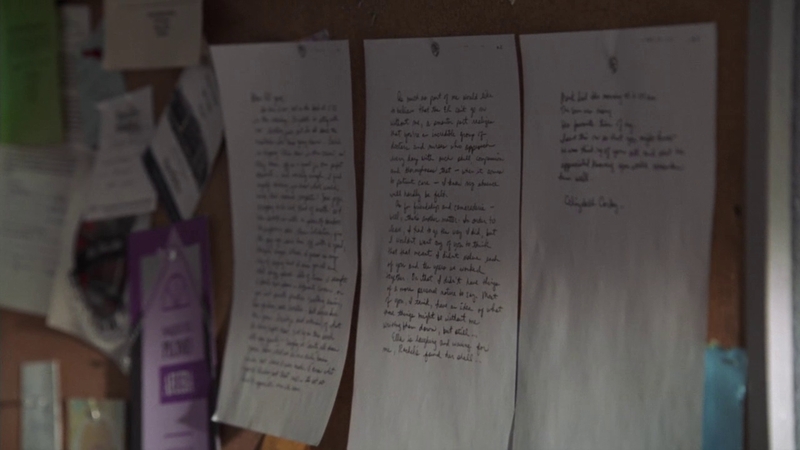 The title refers to the letter faxed to the E.R, written by Mark before he died, which Carter happily reads to the staff until he reaches the final page from Corday telling them Mark has died. It’s a beautiful scene and what follows is one of my favourite moments, as Carter empties Mark’s locker and poignantly swaps his stethoscope for his. The loss of Greene marked a new era for the show as soon we said farewell to Benton, Lewis, Carter and Weaver. A brilliantly paced episode, in which the hospital has to treat patients during a toxic spill. With Dr. Weaver exposed, it’s left to Carter to step up and run the emergency room from the parking lot and canteen! It’s a fabulous moment for him to shine, demonstrating how far he has come and what a wonderful leader he will become. What are your favourites? Also if you have never watched it, take this opportunity to go it a try. You won’t regret it! Previous Previous post: Live Another Day! Jack Bauer is on his way back! My favourite 24 moments. Next Next post: 450 Years & Still Going Strong! My special Shakespearean moments.